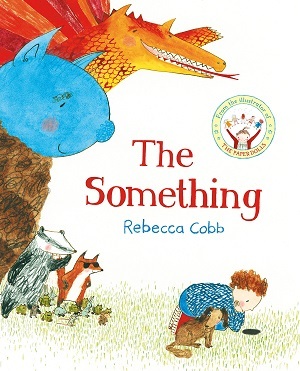 There have been some beautiful stories for younger children recently – books for newly independent readers (those comfortable enough to tackle chapter books by themselves). 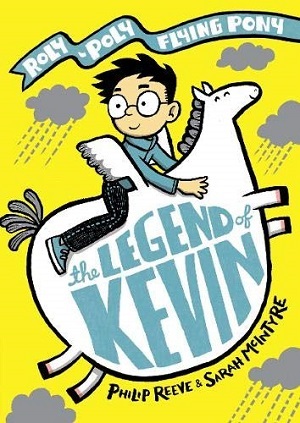 Reeve and McIntyre, of Cakes in Space fame, bring their zany storytelling to this new magical tale about a rotund flying pony, blown from the outermost West to a tower block in Bumbleford. The over-riding theme is friendship but there’s a pervasive feeling of community throughout, and an understanding of providing solutions for problems, no matter how peculiar the problem (mermaid hair styling), and how outlandish the solution. There’s acceptance of difference, and an emphasis on ordinary heroes. 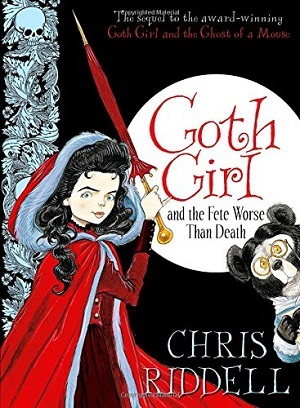 The success of this author/illustrator pairing, and there are those who wait ravenously for each new book, is that the text and pictures work perfectly in harmony. Gaps in the text are filled by the pictures, humour in the pictures is enhanced by the text. 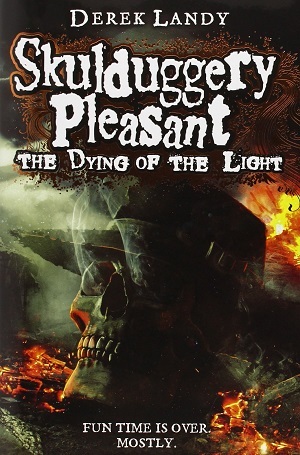 The pair know exactly how to pace the book, when to digress and when to pull back to the plot. 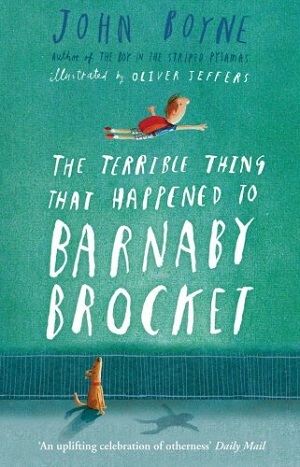 With their trademark mermaids and naughty sea monkeys, this is a delight (for slightly younger audiences than their previous books), and marks a determined shift towards reality, as the Outermost West comes to a city not unlike the reader’s, complete with mundane shops, headmasters and mayors. You can buy it here. Super sleuthing comes to the younger fiction department in this glorious play on the trope of Sherlock Holmes. Transported into a school, the Baker Street Academy, Sherlock is just a school boy solving mysteries. But it’s the use of media that works so well here. The plot is relayed through a series of different text formats – Watson’s diary, comic strip illustrations, notice boards, webchats, emails etc. There’s a mystery to solve of course – and the reader can solve alongside Holmes, Watson and Hudson, as long as they don’t get misguided by a red herring. 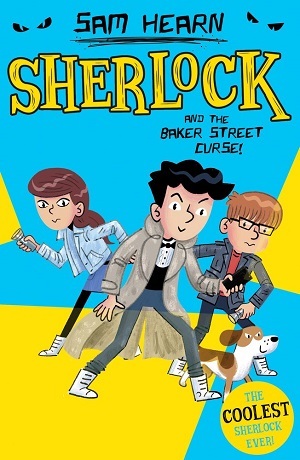 In this book in the series, Sherlock and his friends have to solve a ghost mystery, dating back to when the school building was a family home. 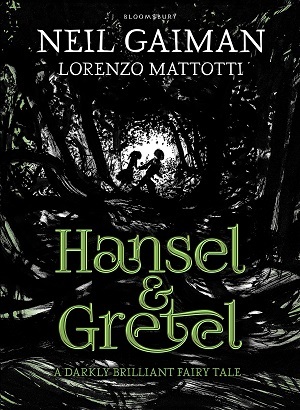 There is a great warmth that exudes from the text, and the dialogue feels authentic and friendly. A slick introduction to mysteries. You can buy it here. I had my favourite American characters when I was little – Ramona Quimby and Amelia Bedelia spring to mind instantly. 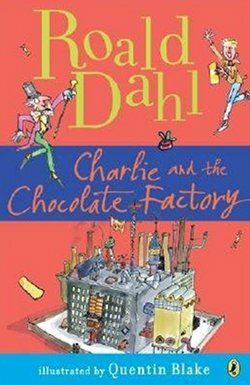 I don’t know if it was their spunky characters or their derring-do adventures, or perhaps the setting – in a school grade system I didn’t understand, with towns boasting large white houses with sweeping driveways, and vibrant lawns with tyre swings hanging from trees. 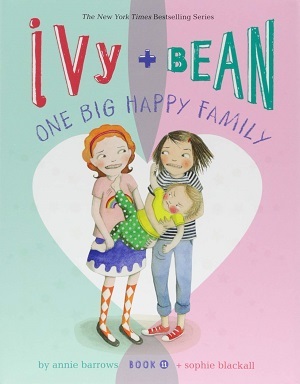 For the next generation, and slightly more down-to-earth, is Ivy and Bean. 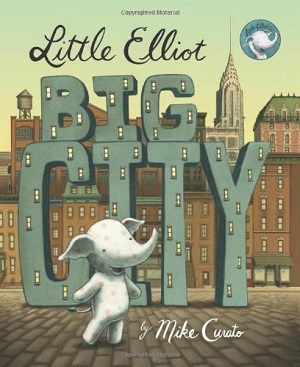 This delightful friendship between quiet Ivy and rambunctious Bean, two seven-year-olds who live in the same street, is a celebration of old-fashioned values and community America. But mainly it’s just a fun chronicle of two girls and their neighbourhood adventures. What appeals most is the amount of free time the girls have to indulge their passions and make their own fun – rather like The Secret Seven did. Barrows seems to have an understanding of the limitless possibilities offered by the best childhoods, and she includes all the fabulous childhood obsessions from glitter, to being made to tidy up, to sharing. 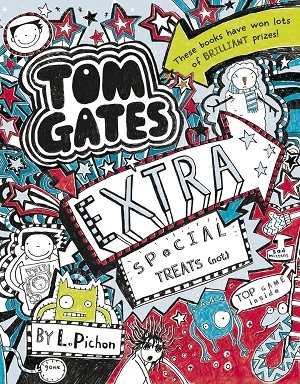 This eleventh book in the series celebrates being an only child, or rather not being spoiled. You can buy it here. 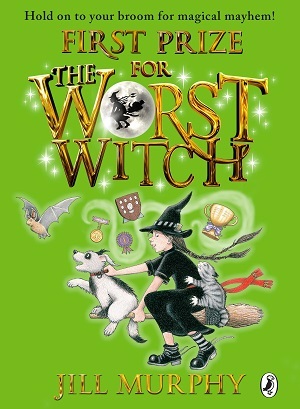 Another series that should be celebrated for its longevity is The Worst Witch. 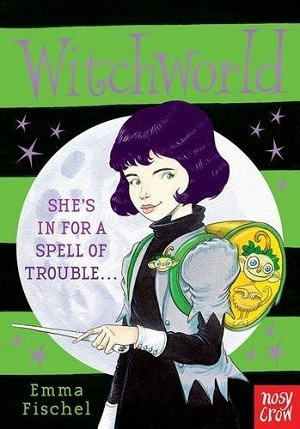 Not only bearing my favourite character names, Mildred Hubble’s and enemy Ethel Hallow’s images are burned onto my brain – those illustrious illustrations of schoolgirl witches hanging on broomsticks with plaits flailing behind them, dangling untied shoelaces, and the haughty thinness of Miss Hardbroom. The utter enjoyment of seeing Mildred learning from her mistakes continues to this day, with Mildred battling to be chosen as Head Girl, against all the odds. 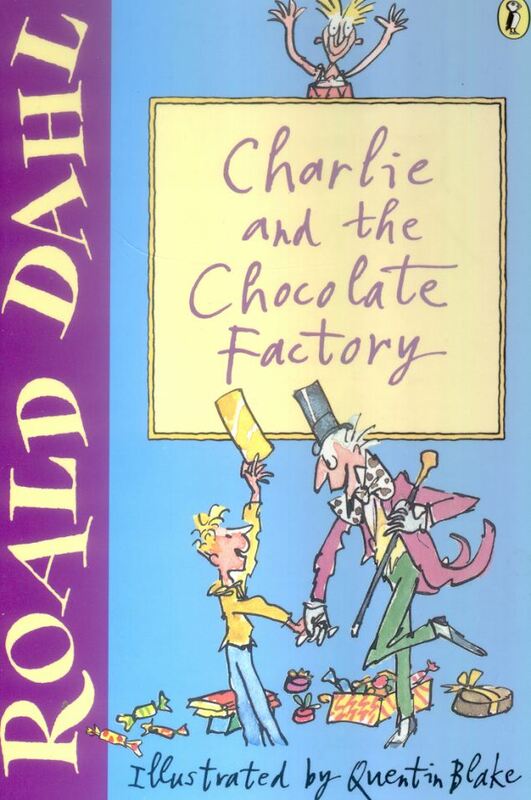 Although the first in the series was published in 1974, this latest (and reportedly last) lives up to the high standard set by the first, and is an utter nostalgic joy for the adult reader, and an excellent gentle introduction to chapter books for new readers – it’s humorous, accessible and still relevant. You can buy it here. 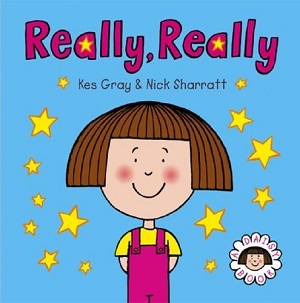 Repackaged in August with new illustrations, although the original text was first published in 2005, these hilarious books sit comfortably between Horrid Henry and The Bolds as accessible, funny, highly illustrated chapter books just right for newly independent readers. 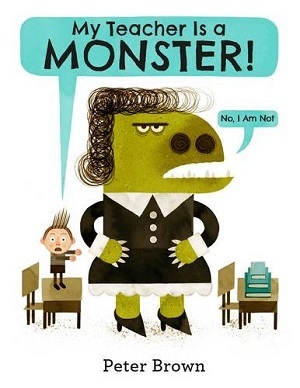 Nelly likes monsters, and happily takes care of the little monsters in the neighbourhood after school whilst the parent monsters take some time off. She’s in high demand, but has no idea of the type of monster she’ll encounter before she arrives. 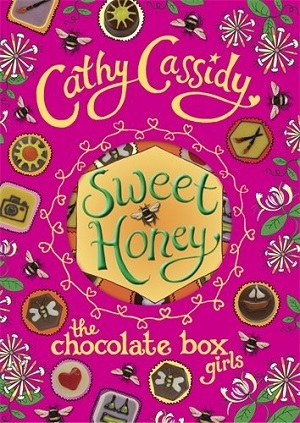 Each adventure showcases Nelly’s wit and quick-thinking – she’s a brave, down-to-earth and likeable protagonist, and as one would expect from Kes Gray, there is plenty of word play, great visual description (enhanced by the illustrations), and a lively exuberance that permeates the text. The winning formula here is that the monsters’ lives are so mundane. You can buy it here. Another skilled writer for this age group is the indomitable Alan MacDonald, author of the Dirty Bertie and Superhero School series, among others. 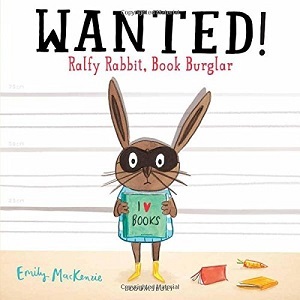 His straightforward easy to understand style is great for flourishing readers, and enables them to zip through his books at speed, promoting confidence and fluency. 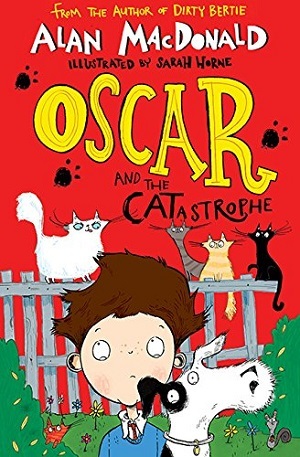 Oscar and the CATastrophe is the third in this series about Oscar the talking dog and his owner Sam. 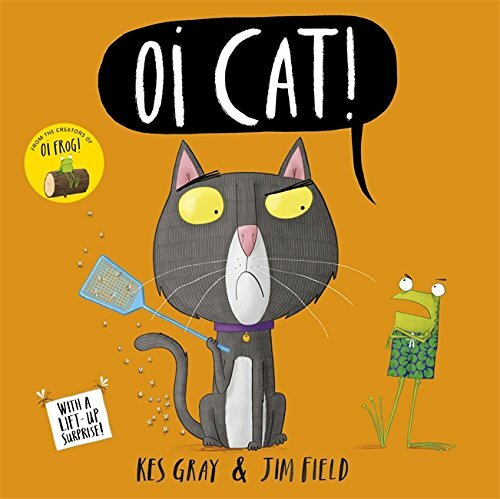 In this latest adventure, Oscar has been shocked to silence by the appearance of a neighbourhood cat and Sam is worried about the jewel thief in town. 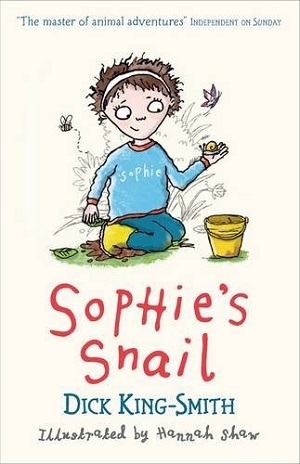 Gentle humour and basic plotting, but perfect for growing readers. You can buy it here. You might have thought by now, after Oi Frog and Oi Dog, that this series would have become a little jaded. Judging by the colour of this new one though, you’d be completely wrong. 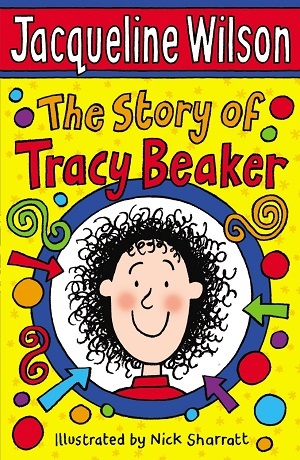 Fresh as ever, bright and vibrant, the characters keep developing and the rhymes keep evolving. It’s all about changing the rules – depending on who’s in charge – the Dog, the Frog or the Cat. Giggly it certainly is, bright and cartoon-like, with masses of personality. There are even rhymes with alpacas, flamingos and lemurs, and a vibrant pink flip up page at the end. A book at which you must take a look. It must be catching…You can buy yours here. And following swiftly on from rhyming animals, here be rhyming fruit. 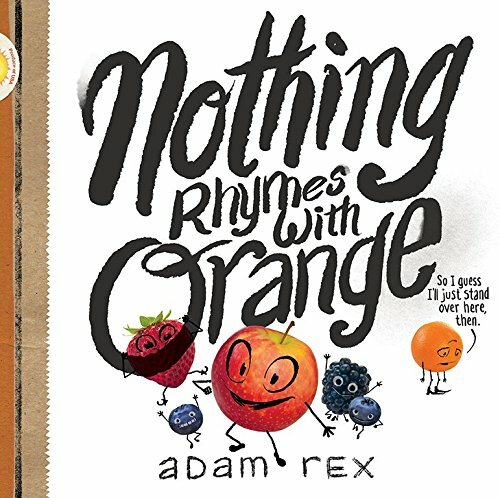 It’s long been a statement of fact that nothing rhymes with orange, but Adam Rex explores how that might make Orange feel. If grapes can wear capes and hairy pears are tied to chairs, the fruits get a little carried away and start to sing a rhyming song – except they leave out Orange. Yes, this book is as zany as it sounds. With images of real fruit stuck in a kind of weird illustrated landscape with drawn on expressions and text that looks as if it has been written with a sharpie pen, and mentions of Nietzsche, it’s a strange kind of picture book. Except that somehow it works – it certainly teaches about exotic fruits, but it also explores feeling left out and how to include someone. A bizarre and yet rather striking addition. Rhyme yourself silly here. 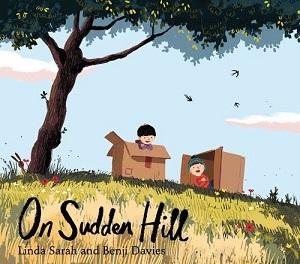 Another moral lesson to be learned in this picture book, with squirrels on the front who would fit in well in Oi Cat, (the illustrator Jim Field has been busy). This book about competitiveness, sharing and friendship brims forth with autumnal charm in its illustrations, and with wit in Bright’s brilliantly evocative and poetic text. 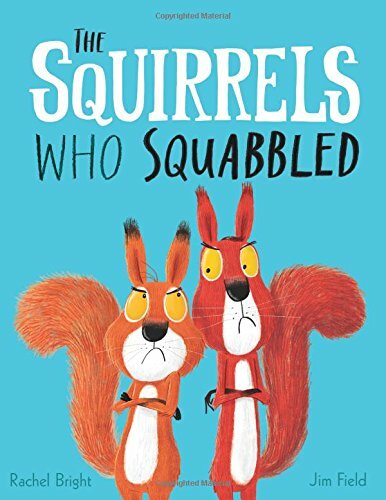 It also rhymes – one squirrel is called Cyril, for example, but the rhyming here is less forced and provocative than the above picture books. The descriptions are plenty: the sky rages red, the forest towers, and the frosting of winter glitters ahead. The text tells the tale of the squirrel who saved nothing for winter and the squirrel who has an abundance. When they fight over securing a last pine cone, there is immense danger in the quest. The competitive squabbling ends in much mirth and an acceptance of sharing with friends. Great momentum, phenomenal nature landscapes – this is an autumn treat I want to share with everyone. Buy your copy here. 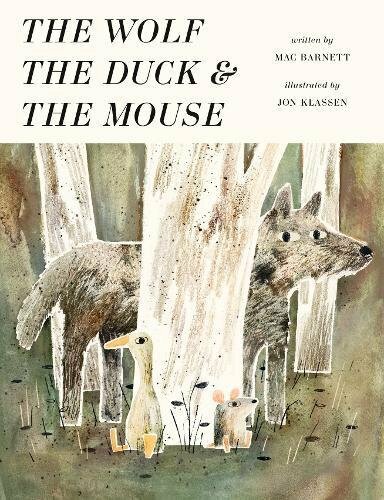 More animal companionship, and another classic author/illustrator pairing in this tale about a duck and a mouse who get swallowed by a wolf, and decide to live in his belly. We’re back to the slightly zany here, with influences including Jonah (stuck in a whale’s stomach) but also Aesop, in animal tales that impart morals. Turning pre-conceived ideas on their head, it turns out it’s not so bad for the mouse to be swallowed by a wolf – after all it’s rather comfy inside, and it removes the fear of being hunted. Especially when there’s a companion already within (the duck), who explains that “I may have been swallowed, but I have no intention of being eaten.” There are plenty of laughs – the stomach seems fairly well equipped; there’s even a painting on the wall, and to complement the rather old-fashioned tone of the interior – candlesticks, grapes, red wine – the language is that of old fairy-tales set in woods – ‘flagon of wine, hunk of cheese, beeswax candles’. Things turn a little strange when the animals party with a record-player (children might wonder what this is), but then strange is expected with this author/illustrator pairing. Muted grey and brown colours lend a warmth and an old-fashioned vibe. There’s a nod to being flexible and adaptable in this tale, and a hint of karma when the hunter becomes the hunted. Explore the narrative here. 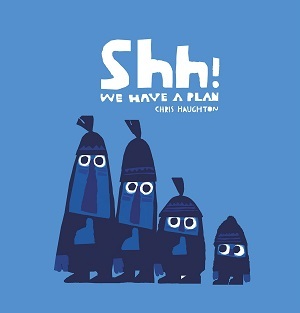 Something slightly more human in this well-crafted book about an issue that can flummox a child, but about which I’ve never seen another picture book: what to do when you have the hiccups. 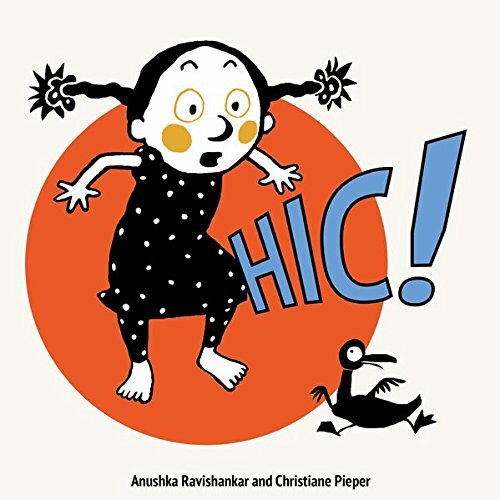 The simple premise of this book is the extraordinary advice given to a child as to how to rid themselves of the hiccups. The girl tries everything from the sublime to the ridiculous, and the more ridiculous. With each ‘cure’ attempted, the next hiccup is even more disastrous (as I suppose it would be if you licked mustard off your nose!). The illustrations are a delight, kept to yellow, blue and black, it lends a distinct look to the book, and the expressions of the children are energetic, humorous and endearing. Cleverly, each remedy rhymes with hic, but alas, there is no solution. Try not to catch hiccups here. 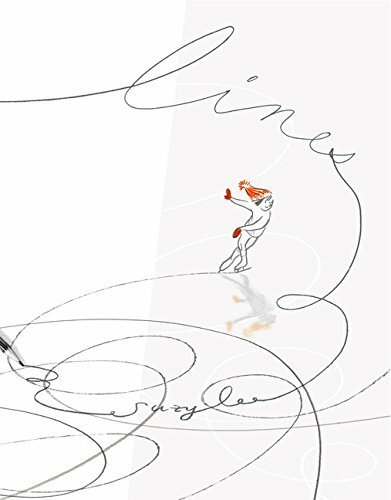 A wordless picture book that starts with a pencil line and evolves into a skater dancing her way across the ice white page. She’s small against the size of the page, but wonderfully fluent in her movements. She feels real, she seems to move. Her red cap and mittens stand out against the white, but the reader will be most entranced by the movement of her legs – the few simple pencil strokes that indicate her direction of travel, her spins and loops, her swirls and twirls. The reader will marvel at the power of the pencil. But when she falls and tumbles, it turns out that she has been nothing but an artist’s impression and the paper is crumpled. The ending is happy. Once unfolded, the paper once again becomes an ice rink, although cleverly, not so smooth anymore, and our skater is joined by others. No words are needed to explore the narrative here: the freedom of our skater, the joyfulness of the ice rink, and the stretch of the imagination. Stunning. You can find it here. There’s a certain delight to be had when a book plays with language. It’s like an in-joke, playing with the very device that the author is using to tell the story. In picture books this is fun for both adult and child; some of the time we are laughing at the same thing, and other times at different things, but always together. 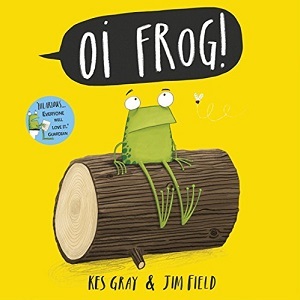 Kes Gray and Jim Field played with this device in their first author partnership, Oi Frog, one of my top contemporary picture books. Their ingenious simplicity in playing with rhymes to describe which animal sits on what object never loses charm, and remains captivating – from apes that sit on grapes, to gophers on sofas, to my all-time favourite, pumas that sit on satsumas. 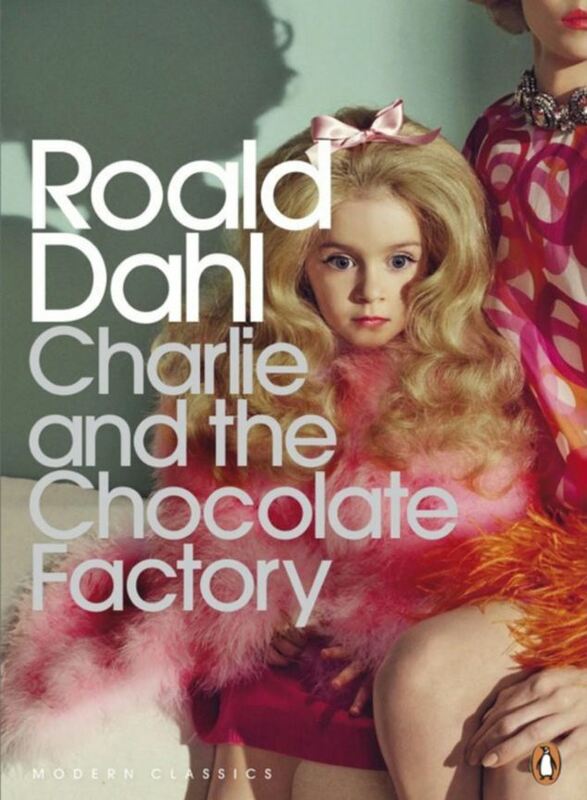 I had great fun asking the author what kids sit on – lids of course. Their latest book is destined for equal success – already, in the first week of publishing, a firm favourite in this household, and it had extended members of the family uproariously laughing at first glance. 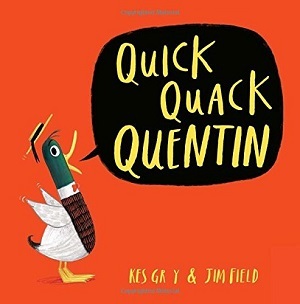 Quick Quack Quentin plays with vowels, and the flexibility of phonics. Quentin is a duck who has a very quick quack. So quick, in fact, that it comes out “quck”. The reader first meets Quentin at the doctor, who although he can diagnose the duck as having lost his ‘a’, cannot provide him with a replacement because the doctor only has a d, o, c, t, o, and r. A bit of a quack doctor maybe? Quentin visits various animals to see if he can have their ‘a’, with hilarious consequences. Of course, in the end there is one animal who has a spare ‘a’, but I shan’t be giving that away! The brilliant text is hilarious to read out loud – try reading ‘frmer’ from the ‘frm’ and dogs and hens without their vowels and you’ll soon have yourself and your audience in peals of laughter. But, the book would be only half as good without the illustrations. 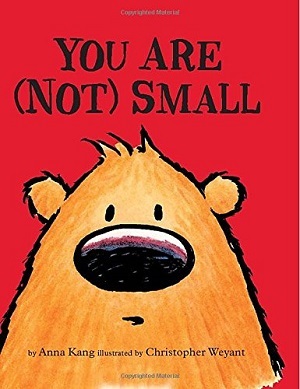 From the signposts indicating how many waddles to the next place on the adventure, to the expressiveness of the different animals, there are few illustrated picture books that show comedic faces and stances quite so brilliantly. 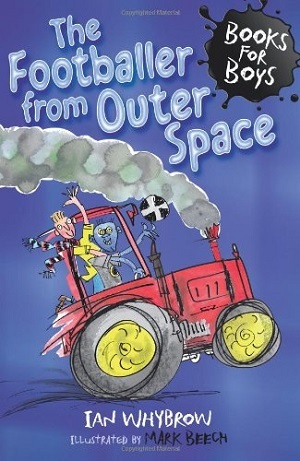 There are so many pages of brilliance that attention could be drawn to any – the doctor’s positioning of his pointed finger, his stethoscope, his glasses and pens – the animals at the farm when Quentin first arrives – children react with tumultuous giggles at the pig and bull. Watch the hen peck the A from the sign. Jim Field manages to portray the dog as pretty dumb and gives each of the numerous tiny chicks a funny face. Supercilious snakes, disinterested apes, even the eyelashes of the camel are spot on. Quentin’s final despair with the panda is shown by the duck removing his hat – it’s genius. 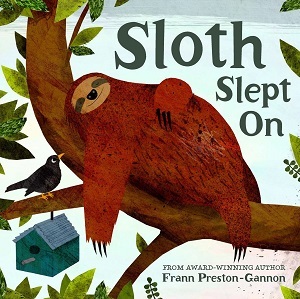 This is an incredible author/illustrator pairing; who depict animals in picture books beautifully – they are also the authors of How Many Legs?, and they imbue their books with an abundance of humour. Notice how all three of their titles have stark primary colour covers – this one red, with clear graphics and title. It is immediately appealing and stands out on the bookshelf, as it should. 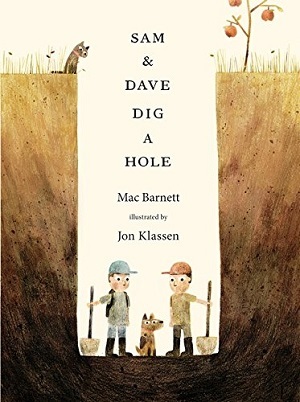 There are a few current masters of the picture book out there – this pairing is up there with the very best. Bravo for Quentin, or should I say Brvo. You can buy it here, and you know you really really wnt to! Where have all the children’s non-fiction books gone?